Personal Care: Fr. John has a personal relationship with all members of the parish. He visits and anoints parishioners going into the hospital for procedures and surgeries. He meets and develops a relationship with couples who are to marry, with families before baptism, and supports families and individuals in the dying process. He also loves to be invited to family gatherings! Undergirded in Prayer: Everything we ‘do’ is undergirded in prayer. Parishioners may request prayer for others by writing names on a list under the pulpit; names are read aloud during Prayers of the People at Sunday services and throughout the week in our other worship services. Centering Prayer (Meditation) is taught and practiced regularly at Christ Church. Prayer chains and prayer lists: We believe in the Power of Prayer, keeping ‘God’s time’ in mind. Prayer requests and chains are readily available and encouraged. When requested, and with permission, prayers are sent by email. These prayer requests are for persons within and outside of our parish. The Healing Team, Morning Prayers attendants, and/or Daughters of the King are typically prayerful participants. Confidential prayers are handled by the rector, deacon and Daughters of the King; in contrast, an individual may want their request to be widely shared with joy and hope. Eucharistic Visitors: In addition to Fr. John and Deacon Midge’s pastoral visits, in homes, hospitals and nursing homes, we have several lay persons trained for Eucharistic visitation for people who cannot attend church services. Healing Team: Wednesday noon is a Eucharist and Healing service with our priest. Our deacon, Midge Pendergast, Ph.D., is an associate member of the Order of St. Luke, an ecumenical healing group. 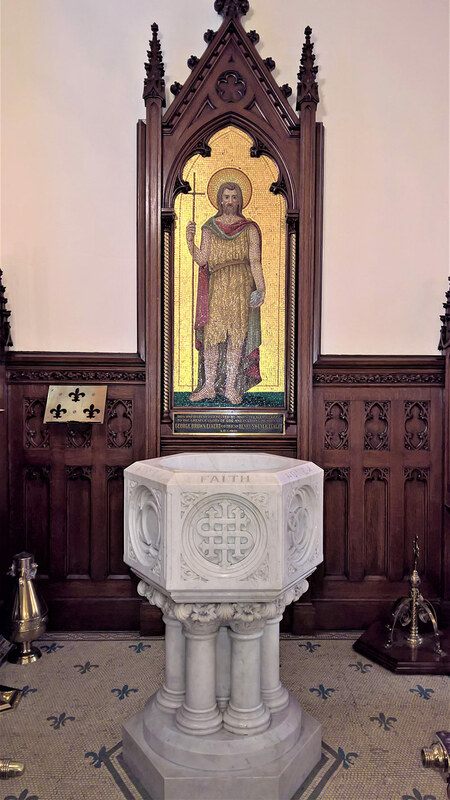 At the 8:00 and 10:15 services on the third (3rd) Sunday of the month, and at various Celtic/Remembrance services, the Sacrament of Anointing is offered. Deacon Midge leads the Lay Healing and Prayer Ministers, who have a well-developed and active prayer life. Personal prayer requests may include laying on of hands when requested.